On the first day of school, all teachers and staff greeted our students wearing Sanctuary School t-shirts designed to support OUSD's English Language Learners program. 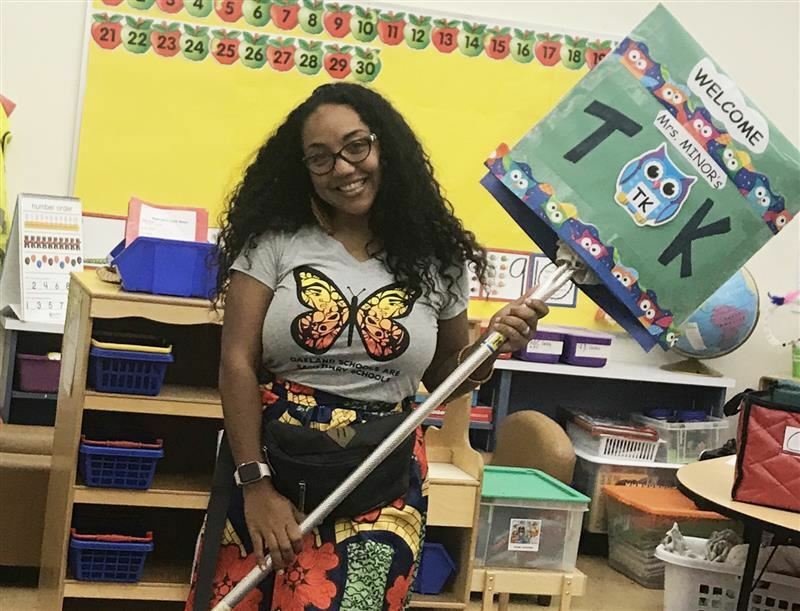 Ms. Minor was looking stylish in her t-shirt to greet the new class of TKers! 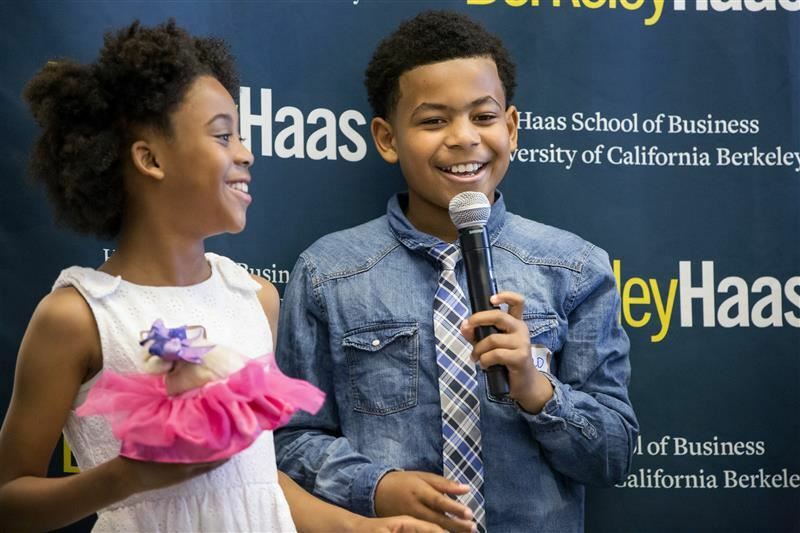 Ronald and Asha present their business plan for customizable slippers in front of a panel that included a program manager from Facebook and a business strategist from the Oakland As. 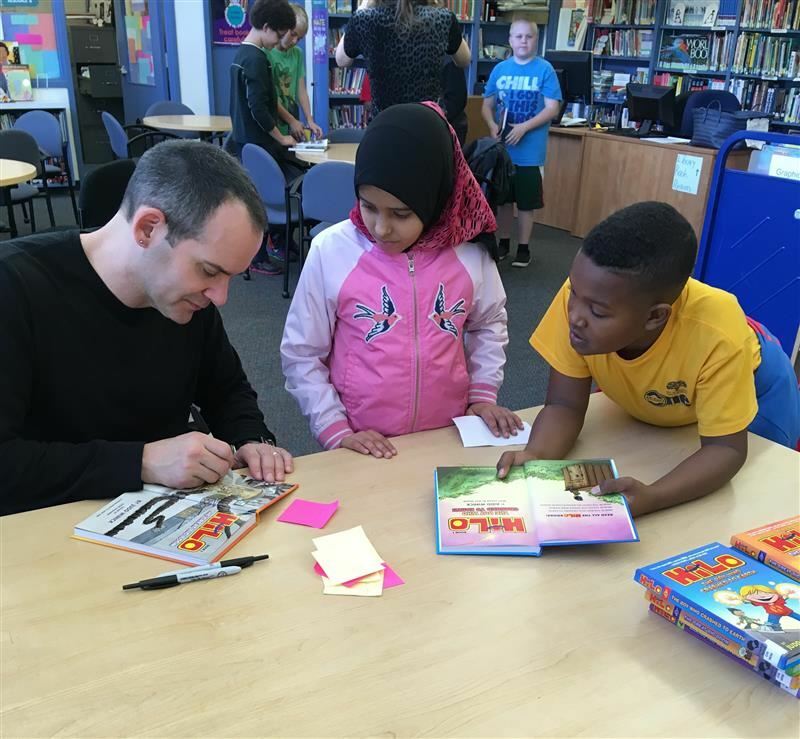 Cartoonist and author of the acclaimed Hilo series, Judd Winick came to Emerson on Tuesday, January 30th, to talk about his career as a cartoonist and the Hilo series. 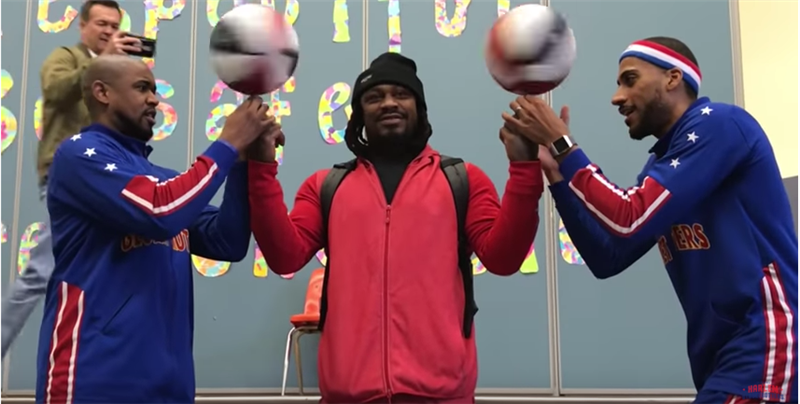 This week the Harlem Globetrotters visited Emerson with a surprise appearance by Marshawn Lynch. Click through to see the video! Thank you to our community sponsors The Highland Partners and Tip Top Bike Shop for making this year's event amazing! Thank you to the Oakland Masonic Center for hosting us!